Institute of Communication and Journalism (ICJ) is a prestigious venture of Calicut Press Club. It was started in 1997. The ICJ imparts one year Post Graduate Diploma Course in Communication and Journalism. The PG Diploma course is recognized by the Govt. of Kerala as per G. O. (P) 5/2001/ P and ARD Dt. 31.1.2002. The aim of the course is to produce talented and professionally qualified personnel who can straight away handle duties with confidence and competence in Media Institutions — Print, Telecast or Broadcast. Students are trained in DTP operations, On-line Editing, Pagination, Internet and Web Journalism, TV and Radio programs apart from training in Print. In addition to theory classes, emphasis is on practical and application training. Classes are given by media experts and experienced professionals. Students are to keep abreast of current events and to develop general knowledge — a must in the discharge of their duties in future. Hence lectures on allied and related topics by eminent persons are also arranged. What is News – News Value – Sources – Nose for News – General Reporting – Reporting Disasters, Election, Assembly and Parliament, Court and Crime – News Agencies – Human interest Stories – Local News. Newspaper Language (Malayalam, English) – Structure of News Story – Intro – Inverted Pyramid – General Principles in Editing – Copy Preparation – Translation – Headlines – Picture Editing – Layout – Active Newsroom. Introduction – Evolution of Press, Radio, Television and Film – Advertisement – History of Malayalam Journalism. Jurisdiction of Courts – Court Procedure – Police Procedure – defamation – Liable and slander – Contempt of Court – Children Act – Ethical aspects – PRB Act – Constitution and the Press – Press Council – Press Commission. Interpretative and Investigative reports – Cultural events – Sports – Developmental report – Business reporting – Science and Environmental reporting – Human interest stories -different kind of features – Leader writing – articles – middle piece – Letters to the Editor – Column writing – Film Journalism. Different Kinds of Magazine reports – Week End edition and Specials of Newspapers – News Magazine – Literary magazine – Women’s magazine – Sports magazine Health magazine – Children’s magazine – planning and organising – magazine Cover – Layout. Introduction to PR – Principles of PR – PR in modern society – Methods and tools – PR and the media – Press releases – Press Conference. PR in Government – Government and Press – Public opinion – Organisations of Government PR — PR in companies – Image building. Introduction to Advertisement – Social impact – Advertisement in Print Media – Advertisement for Radio and TV. Computer Fundamentals – MS DOS, Windows – Composing (English, Malayalam) – Editing online – Pagination, Internet. Introduction to internet – History – World Wide Web – Portal – Vortal – Online Edition of Newspapers – Search Engines – E-Commerce – Writing for the Web – Hypertext – Key Component for Internet Journalism – Design of Web page – Convergence on the internet – Legal issues; online law. Dissertation on a news based topic. Students are to select the topic with the approval of the Director. Dissertation work is to assess the in-depth reporting aptitude and talent in research of the students. Academic year is divided into 2 segments of 6 months each. 2 segmental examinations are conducted in March and in August. 1) Reporting, 2) Editorial Practice, 3) Mass Communication, 4) Law for Journalists and 5) Electronic Media. 1) Specialised Reporting, 2) Magazine Journalism, 3) Public Relations and Advertising, 4) Computer Applications and 5) Online Journalism (Web Journalism). All papers carry 100 marks of which 40 marks will be of Internal Assessment. Internal marks are not subjective but assessed from the average of marks scored in class exercises and outdoor assignments. Besides these subjects project work also carry 100 marks. Total marks 1100. Out of which 440 is minimum required for a pass. Students are to pass all individual papers with 40% marks to confer the Diploma. Those students cannot succeed in the examinations will have to appear for re-examination on a later day. There will be 2 compulsory assignments for the students – 1) Preparation of TV Video Cassette and 2) Preparation of Lab – Journal. Admission is open to any bachelors degree holder in any discipline with 50% marks from a recognised University. Preference is given to those having post graduation. The upper age limit is 25 years. The number of seats is limited to 25 of which up to 5 seats are reserved to eligible children of the members of Calicut Press Club. 2 seats are reserved for SC/ST candidates. Candidates to the reservation seats are to be successful in the entrance examination and interview. Applications will be invited during the 2nd half of July through news releases in the leading news papers in Kerala. Application forms and prospectus can be had from the Director, on payment of Rs. 100/- at the Press Club Counter. Those who desire to get them by post should send Rs. 100/- by way of money order or Demand Draft drawn in favor of Institute of communication and Journalism payable at Calicut along with a stamped self addressed cover. You can download the application form and prospectus from this site also. Those who download the application form and prospectus from this site are to enclose Demand Draft for Rs. 100/- along with the filled in application. After screening the applications, candidates found eligible will be called for an Entrance Examination. The exam will be of 3 hours so as to asses the candidates aptitude for media work, proficiency in both English and Malayalam, knowledge of current affairs and acquaintance to issues hotting up on national and international arena. Successful candidates will be short listed for an interview. After interview selection for admission will be finalised. Duration of the Course This is a full time Post Graduate Diploma Course. Duration of the course will be from October to September. Classes will be conducted up to the end of August. Last month (September) is scheduled for internship. The students are required to undergo practical training in a media organisation. Classes are held 6 days a week. The sessions will be from 9 AM to 6 PM. 2nd Saturdays and National Holidays will be holidays. 85% attendance is required to confer the diploma. Fee for the course is Rs. 20000/-. This can be paid in installments. Rs. 8000/- to be paid at the time of admission. The balance Rs. 12,000/- shall be paid in 6 installments of Rs. 2000/- each. Installments of fee shall be paid before 10th of the month concerned. Fee once paid will not be refunded. Expenses of study tour should be met by the students. The ICJ is managed by the Executive Committee of the Calicut Press Club. It has constituted a Governing Committee for the smooth functioning of the Institute. The ICJ is headed by the Director who is responsible for general administration, training programs, tuition schedules, examinations and the other activities. There is an Advisory Board and Academic Council consisting eminent media persons. A. Sahadevan (Asst. Editor Mathrubumi), N. P. Rajendran (News Editor, Mathrubhumi), P. J. Joshwa (News Editor, Malayalamanorama), V. E. Balakrishnan (Dy. 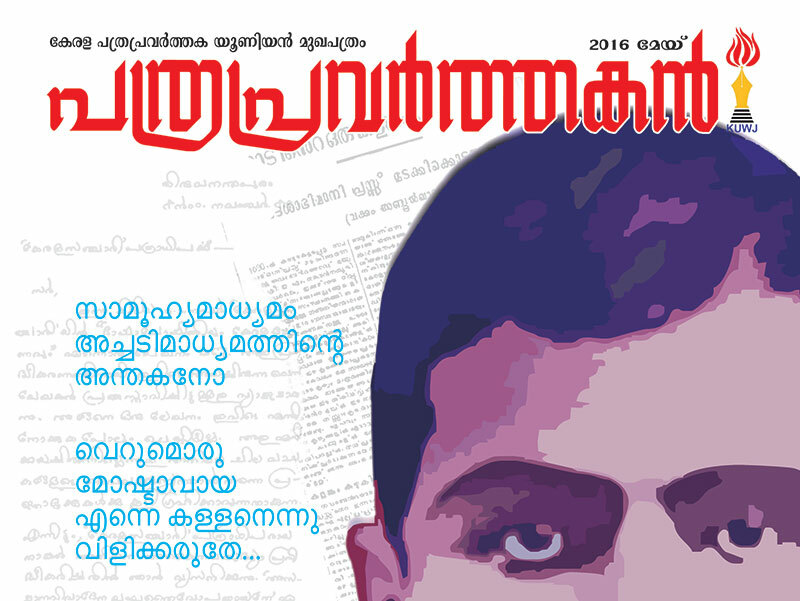 News Editor, Kerala Kaumudi), K. M. Mohandas (Chief Reporter, Deshabhimani) are the members. P. P. Aboobacker (Special Correspondent, Deshabhimani), who was the founder Secretary of I.C.J., is specially invited. Press Club President and Secretary are the Chairman and Secretary of the Governing Body.